Don’t Miss out on Skipper Transport Parts’ May Madness Sale! 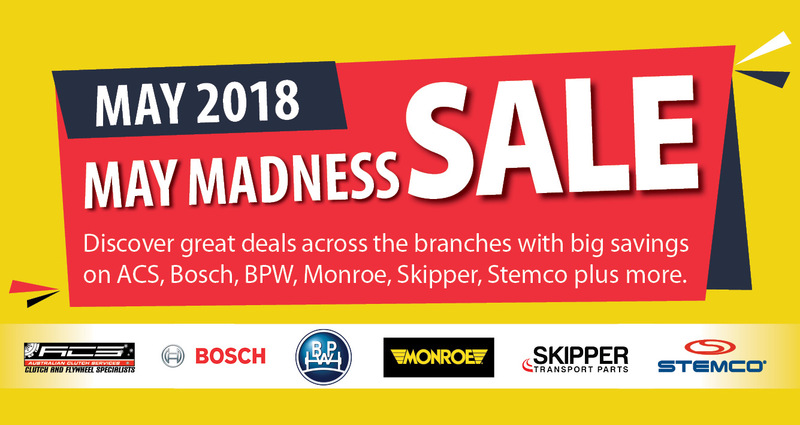 Skipper Transport Parts’ May Madness Sale is now on! Visit your nearest branch or call us on 13 72 80 to discover great deals on ACS brands, Bosch, BPW, Monroe, Skipper Transport Parts, Stemco plus more. Copyright © 2019 Skipper Transport Parts.